Richard Wershe, Jr., known to most of the public as White Boy Rick, grew up in and was prosecuted as a drug dealer in one of the most corrupt cities in America. The police case against Wershe is shaky, to put it mildly. But the deck was stacked against him. Working as a teen confidential informant for the FBI he told on some very powerful people who were corrupt and politically connected. It appears his prosecution and continued imprisonment was/is an organized effort to teach a lesson to others who would dare to tell the truth about drug corruption in the criminal justice system of Detroit. This blog post focuses on one example of why that may be true. Last week’s post ended with a cliff-hanger regarding a hellfire-and-brimstone letter purportedly written in 2003 to the Michigan Parole Board by former Wayne County Prosecutor (now Mayor of Detroit) Mike Duggan, urging them to keep Richard J. Wershe, Jr. in prison until he dies. This is despite the fact Wershe was convicted and sentenced to life in prison for a non-violent drug case committed while he was a juvenile. What’s more, Wershe got in the dope business at the urging of a federal drug task force of federal agents and local police. They recruited him to be a teen informant against a major drug gang. Wershe eventually turned to the trade the cops taught him, and tried but failed to become a major dealer himself. The case against him is questionable on evidentiary grounds, too. The post last week went through the Duggan letter paragraph by paragraph and noted the accusations against Richard J. Wershe, Jr. Going forward in the current court battle to block a judge from re-sentencing Wershe to time served, the Wayne County Prosecutor would be challenged by former FBI agents who are willing to testify, if necessary, that Wershe, a former FBI confidential informant, was never a major player in the Detroit drug underworld. In fact, they would testify his assistance to law enforcement—from prison—has been remarkable and has led to significant convictions of drug dealers and corrupt police officers. The assertions of the ex-FBI agents would be supported by testimony and sworn affidavits from convicted drugs dealers and hitmen who say the same thing. Wershe aspired to become a big dope dealer but he never made it. He was busted by the Detroit Police before he could become ‘the man.’ Naturally some people will question the word of ex-cons who knew Wershe and knew the landscape of the Detroit drug trade back then, but the fact is there is nothing in official files—then or now—to support the legend of White Boy Rick Wershe. The cliff-hanger in last week’s blog post had to do with the question of whether Duggan even wrote the letter. Through a spokesman he says he doesn’t remember it. This would make sense if he never wrote it in the first place. I took the signature from the letter to the Parole Board and placed it above a known copy of Mayor Mike Duggan’s real signature, which was affixed to a recent letter to Michigan Governor Rick Snyder. Readers were invited to decide for themselves whether the signatures were written by the same person. The Wayne County Prosecutor’s Office, no matter who is sitting in the chair, handles thousands of criminal cases each year. Obviously the big boss has to delegate the work on most of these cases. If Mike Duggan didn’t write the notorious Wershe parole board letter, who did? The best guess—and it can only be an educated guess after all these years—is Duggan’s chief assistant at the time, the late Samuel Gardner, composed or at least ordered someone to write the letter. And Gardner may have had some office assistant sign an approximation of Duggan’s signature to the letter to the parole board. Gardner is an intriguing character in the Rick Wershe, Jr. saga. Who was her family? The mayor, of course. He was her uncle. Bell and Gardner were Young's political allies. 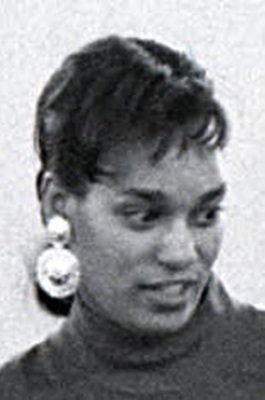 Her mother, Juanita, was Mayor Young’s sister. Her father was Willie Volsan, a career racketeer in Detroit’s black community. Thanks to Coleman Young, Willie Volsan, now deceased, was wired. He had connections. The police and the criminal justice legal community knew it. He was reputed to have excellent high-ranking connections in the Detroit Police Department. In an appeal, the challenge to the validity of the drug evidence would have been the primary fact of the case Wershe's attorney could argue. Without a motion at the time of trial to suppress the evidence, Wershe had nothing to appeal. His appeal was rejected, as expected. “I was personally told by Coleman Young that this...’stay out of this. This is bigger than you think it is,’"
What, exactly, does that mean? We can’t ask Bufalino because he is deceased. We can’t ask Young because he is deceased. But with Rick Wershe still languishing in prison 27 years after Young allegedly gave that warning to Bufalino, anyone interested in justice ought to think real hard about the implications. A well-known member of the Detroit defense bar testified for the record that the very powerful black Mayor of the City of Detroit warned him to avoid defending an 18-year old white kid, Rick Wershe, because the Wershe matter was much bigger than the attorney realized. Wow. In what other American city would a mayor make a veiled threat to a defense attorney about defending someone in a criminal case that was "bigger than you think it is." 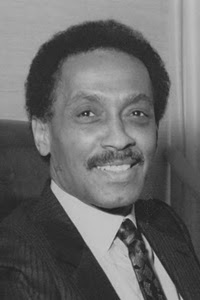 He went in to private law practice for a time with the late Ed Bell, who was politically wired in the years when Coleman Young was the Mayor of Detroit. Bell also represented some of the biggest dope dealers in Detroit, who also had political and police connections thanks to payoffs and bribes. Gardner later became the chief assistant Wayne County Prosecutor. He died of cancer in 2005. Through all of this, questions of corruption surrounded Sam Gardner. 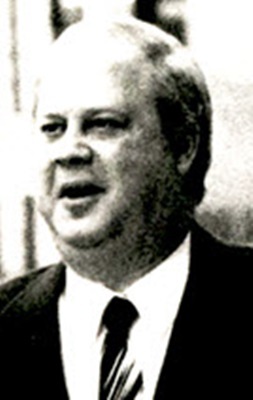 That corruption may play a role in why Richard J. Wershe, Jr. remains in prison to this day. A very real problem in recounting the story of Richard “White Boy Rick” Wershe, Jr. is many of the key players are dead. He’s been in prison that long. Fortunately, a diminutive Greek lady named Kalliope “Kae” Resh is still living. She’s 92 and in rapidly failing physical health but her mind and memory remain remarkable. For many years Kae was the Number Two person in the Recorder’s Court clerk’s office. In a corporation her former position would be equivalent to COO—Chief Operating Officer. At least one Recorders Court judge and one Assistant Wayne County Prosecutor—the late Justin Ravitz and the late Patrick Foley, respectively—were fond of calling her “the conscience of Recorder’s Court.” That’s because she had and still has a reputation for honesty and integrity. More than a few police officers, defense attorneys and judges sought her advice over the years because of her depth of knowledge of Detroit’s criminal court system and her reputation for trustworthiness. As I noted in a previous post, Kae Resh taught me a lot in my rookie reporter days about how the courts work, how they really work. Kae Resh will tell you, on the record, she is sure Sam Gardner was a corrupt judge when he was the chief judge in the 1970s. In a move that surprised Ms. Resh, Gardner chose her to be his special assistant when he became chief judge of Recorder’s Court. In that role Ms. Resh says she came to know most of the things going on in Gardner’s life. She also became friends with his court clerk, Cynthia, who was also his wife. Resh remembers questions stirring in her own mind about where Gardner was getting the money he was throwing around. Judges are paid a decent salary, but Resh knew Gardner wasn’t getting paid the kind of money he was spending. Gardner, she says, liked to show off his custom-made suits made across the river from Detroit, in Windsor, Canada by Lou Myles sometimes known as “tailor to the stars.” Myles, who passed away in July, had shops in Windsor and Toronto, Canada. He crafted bespoke suits for the likes of Muhammed Ali, Michael Jordan, the Beatles, Frank Sinatra, John Gotti, "the dapper (Mafia) don"—and Sam Gardner. Resh also recalls Gardner and his pal, lawyer Ed Bell, took their wives to Paris on the supersonic Concorde—twice. When the Concorde went out of service in 2003, a round trip ticket cost $10,000. Kae Resh recounts a strange episode involving both Bell and Gardner. She says a narcotics officer came in one day with an unusual looking little red bag full of money seized in a drug raid. Resh had the responsibility of securing the cash as evidence for a likely hearing. “The cashier and I counted a total of $64,000, including two counterfeit twenties,” Resh said. Her memory as we will learn in a moment is remarkable but not flawless. She put the money in her safe in the clerk’s office. The next day, a court police officer came to get the cash for a writ hearing before one of the judges. During the day she heard the money had been moved for mysterious reasons from the chambers of the hearing judge to the chambers of the chief judge, Sam Gardner. No one dared question an order from the chief judge. Ms. Resh says she never saw the money again, but later that day she got an odd phone call. It was from a narc in the old 7th floor narcotics section office of Detroit Police headquarters, which looked down on the reserved judge’s parking lot of Recorder’s Court. By now the little red bag had become the subject of a bit of idle scuttlebutt among the narcs and court personnel because it was such an unusual container for drug money. And everyone in the system knew Kae Resh was the ultimate custodian of the money. The narc, she can’t remember his name now, told Resh he and some of his fellow narcs watched Judge Gardner’s court officer exit the courthouse and go to the trunk of Judge Gardner’s car. That officer opened the trunk and removed the little red bag. The narcs had no idea how it got there but they recognized it right away. Next, as Kae Resh recounts the episode, Judge Gardner’s court officer, acting literally as a bag man, took the little red bag from the trunk of Gardner’s car and placed it in the trunk of an adjacent car—belonging to his pal, criminal defense attorney Ed Bell. The money was never seen again. No one, including Kae Resh, dared question what happened. Sam Gardner had the power to end the career of anyone in the Detroit criminal justice system with one phone call. I asked Ms. Resh why she didn’t report the episode. “To whom?” she asked in reply. Our aging court historian recalls another incident that was even more disturbing. As noted, she had become friends with Cynthia Gardner, Sam Gardner’s wife, who was his court clerk. One Sunday, Resh recalls, she was invited to lunch at Judge Gardner’s condo a short distance from the courthouse. Resh says the judge’s wife was busy setting a patio table for lunch when a well-known black criminal defense attorney showed up. Judge Gardner was chatting amiably as he moved around various parts of the condo helping his wife prepare for lunch. Matter of factly, Resh remembers, the defense attorney produced a stack of cash, about 3 or 4 inches high and placed it on the breakfast nook table of the judge’s condo. She couldn't see the money denominations in the stack. Resh says she immediately left the room and went to the patio to help the judge's wife. She didn't want to be in the same room with what she knew was happening. The attorney departed soon after, leaving the cash on the judge’s breakfast table. Resh says it was obvious the attorney was not repaying a loan from the judge. Why did this happen in front of a court employee with a reputation for integrity? “Arrogance,” is Resh’s best guess. “They were all-powerful in those days and had the attitude, ‘Who is going to stop us?’ she remembers. Here’s another item about the late Sam Gardner. Rick Wershe says in 2002, a year before his parole hearing, Assistant Wayne County Prosecutor Mike Cox was gearing up for his ultimately successful run for Michigan Attorney General. He apparently wanted a big, high profile case he could prosecute during an election year. 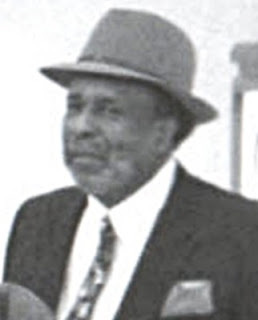 Cox, through federal investigators, reached out to Rick Wershe who was at the time in federal protective custody because he had helped the FBI arrange a sting operation that netted about a dozen corrupt police officers and almost ensnared former Detroit Police Homicide Inspector Gil Hill, who was by then a big name in Detroit politics. Cox, Wershe says, wanted him to help prosecute the killer of a 12-year old boy named Damion Lucas. The killer was a member of the Johnny Curry drug gang, the crew that Wershe infiltrated secretly for the FBI as a teenage informant. The Curry gang had killed the little boy inadvertently in a drive-by shooting intended to intimate the dead boy’s uncle. A few days after the murder an FBI wiretap recorded Johnny Curry telling a friend his drug gang associate "...f**ked up by killing that little boy." Rick Wershe told the FBI he heard Gil Hill tell Johnny Curry during a speakerphone phone call not to worry. Hill promised he would ensure the investigation didn’t go near the Curry Brothers. It didn’t. The Detroit Police and Wayne County Prosecutor went after an innocent man who was jailed but later released in the middle of his trial when an FBI agent told the defense attorney what really happened. For years after the young boy’s death, the FBI had Gil Hill in its cross-hairs for prosecution as a corrupt cop. They could never make an airtight case against the street-savvy homicide detective. For his part, Hill has denied to various reporters over the years that he took a $10,000 bribe from Johnny Curry to obstruct justice in the Damion Lucas murder investigation. Today he is reportedly in a nursing home and in poor health. It’s against this history that Wershe says Mike Cox reached out to him to help prosecute the Damion Lucas murder case. But Cox, Wershe insists, wanted to know two things; would prosecuting the killer of little Damion Lucas involve Gil Hill or Sam Gardner? Wershe says he told Cox what he knew. The Damion Lucas case was never prosecuted. Cox has denied to other reporters that he communicated with Wershe. Rick Wershe says he did. Officials at the prison where Wershe was incarcerated at the time told me they doubt the phone logs from that long ago can be located. The following year, 2003, with Sam Gardner now serving as the chief assistant, the Wayne County Prosecutor’s Office waged a frantic campaign before the Michigan Parole Board to keep Rick Wershe in prison as a danger to the community. He remains in prison to this day. Finally, there is this. In his self-published autobiography, Butch Jones, a true drug kingpin who ran a notorious Detroit drug gang called Young Boys Incorporated, gave "shout outs" to various people in the Detroit criminal justice system. One of them was Sam Gardner.